After a successful seven years as a wine sommelier, Honami Matsumoto decided to celebrate her Japanese roots and has spent the last 15 years championing the promotion of sake in the UK. From her position as a WSET Sake Educator, to her company House of Sake and her roles in consultancy, events and retail, she tells us how she is achieving her mission. As a qualified sommelier who trained at Leiths School of Food & Wine and Le Cordon Bleu, what made you decide to focus on sake in the UK? Sake is one of the national alcoholic beverages of my motherland Japan. It has a long and precious history behind it. However, the majority of people in the world have yet to understand what it is or even know of its existence. To me, it is a very exciting project to make sake a truly international alcoholic beverage through creating sales opportunities, promoting to new market segments, and increasing awareness and popularity of sake in Europe. Competing in the international market with other well-established drinks is not easy but not completely impossible. I decided to take up the challenge and tackle it from many different positions: sake PR, educator, consultant, as well as sake event management, a sake brand agency, online sake accessory retail, and so on. I do not believe in a big headed, intimidating approach to introduce something new to people. I experience and discover alongside my clients and students. Why did you launch House of Sake? I would like to provide my customers/students with new experiences, a broadened horizon in gastronomy, and the joy of tasting sake with delicious food with proper understanding of its history and practice. I do not believe in a big headed, intimidating approach to introduce something new to people. I experience and discover alongside my clients and students. I wish to provide a complete and joyful sake experience to everyone who comes into the House of Sake. I hope to make all customers want to visit sake’s origin – Japan – and discover a truly deep and beautiful world of Japanese sake. This is my ultimate vision of my services. Drawing upon your experience as a sake sommelier, what do you think the explosion of the "foodie" culture in cities around the globe mean for the expansion and diversification of sake-drinking population? It is an opportunity to increase the sake drinking population as millennials are always looking for something good, exciting and new. By showcasing the originality of sake as an alcoholic beverage, e.g. low acidity and high umami content, ease to pair with food through enhancing flavours rather than cancelling, the lack of preservatives, and other unique characteristics of sake, sake is going to be accepted and enjoyed in many new locations and environments as a valuable addition to wine in retail and the on-trade. I was a wine sommelier for seven years, and experienced food-matching limitations quite often when only wines were available. Sake is a fantastic complement/alternative/substitute to wine with many ingredients in question. As a WSET Certified Sake Educator, what role do you think education plays in the growth in interest in sake globally? 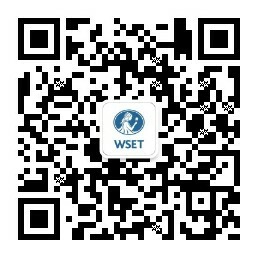 Education provided by WSET is absolutely crucial. it makes it easier for people to understand sake, as definitions and information are logically and professionally laid out and explained. Different levels of sake courses provide a ready-made step-by-step journey of sake discovery catering for individual needs. The WSET curriculum provides a solid foundation of sake knowledge, which students can continue to build on at their own pace and means. You’ve been a sake judge for the International Wine Challenge for many years – how have you seen the quality and variety of sake available to international markets change? The quality and variety of sake have drastically improved since I first joined back in 2008. I heard the total number of sake entries for 2018 was 1636 sakes. Within these, the truly amazing sakes were chosen for gold medals and trophies. I have found sakes made with the original, ancient starter making method are increasing in popularity. For example, Kimoto, Yamahai and Bodaimoto methods tend to give sake a much broader taste profile with a more noticeable acidity and umami. However, we do of course appreciate and value the sakes that are more reserved/elegant/delicate style. The line-up of diverse sake styles will appeal to the potential and existing global market. Sake competitions like the IWC play a significant role in making sake internationally competitive against so many other established alcoholic products worldwide. Learn more about Honami and sake on her website www.houseofsake.co.uk.